Just over a week before Iran plays their first World Cup match against Morocco, Nike has announced that they will no longer provide the Iranian national team’s cleats because of recently reimposed economic sanctions against the country. Nike has provided cleats for several Iranian players for years, including at the 2014 World Cup, and while players will be free to buy their own Nikes going forward, the company will no longer provide them. 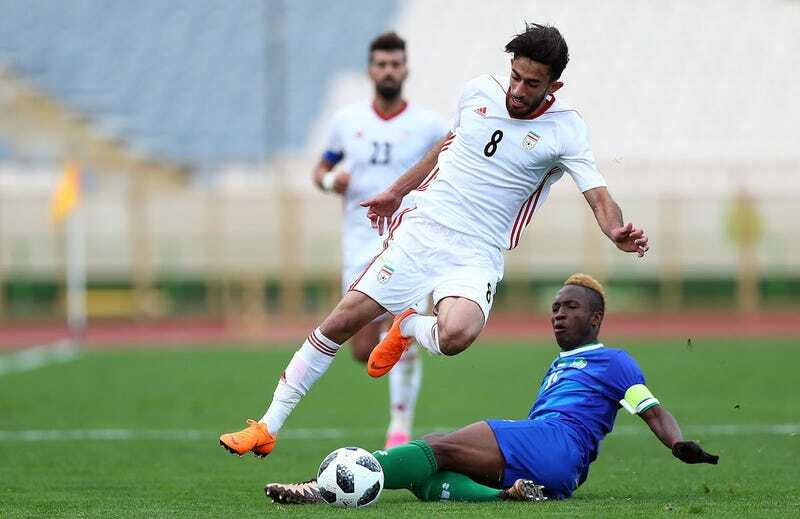 With little time to react, Iran’s players have taken varying steps to make sure they will be equipped to play: Some have asked non-Iranian players on their club teams to loan them boots, according to one team official, while others have had friends acquire them or have simply gone out and bought their own footwear at stores. Correction: The original version of this post featured a photo of an Iraqi national player.